European regulators have called for a pause in their review of the proposed merger between two chemical giants due to what they're calling missing information, while a U.S. Senate committee prepares to discuss the possible fallout of the deal. 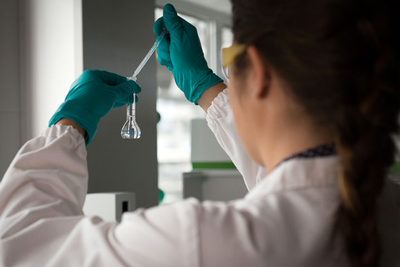 The European Commission had initiated a Phase II review Aug. 11 to determine whether the proposed merger-of-equals between The Dow Chemical Company and DuPont is in line with the EU Merger Regulation. Just about a month later, the EC announced it was halting its review process because the companies had failed to submit required data, The Wall Street Journal reported. In December 2015, DuPont Chairman & CEO Edward Breen and Dow Chemical chairman & CEO appeared on CNBC following announcement of the deal to discuss the importance of getting the right management team in place for the new company. “The commission has stopped the clock in its in-depth investigation into the proposed merger between Dow and DuPont,” European Commission spokesman Ricardo Cardoso said. The Journal noted that extensions during EU merger reviews are not uncommon. At the same time, the U.S. Senate Judiciary Committtee will be holding a hearing this week that could have an affect on the outcome of the merger plan. The timeline later shifted to early 2017 when the EC announced a revised review deadline of Jan. 11. Now, with the postponement of the investigation, the review deadline is likely to be pushed back further. "Once the missing information is supplied by the parties, the clock is restarted and the deadline for the commission's decision is then adjusted accordingly," Cardoso said. However, a DuPont source told The News Journal that the matter was a “document production issue” that the company could remedy quickly. Dan Turner, a spokesman for DuPont, referred to the request for information as "a routine procedural part" of the review process, adding, "It does not change our timing expectations." The nature of the missing information was not disclosed. 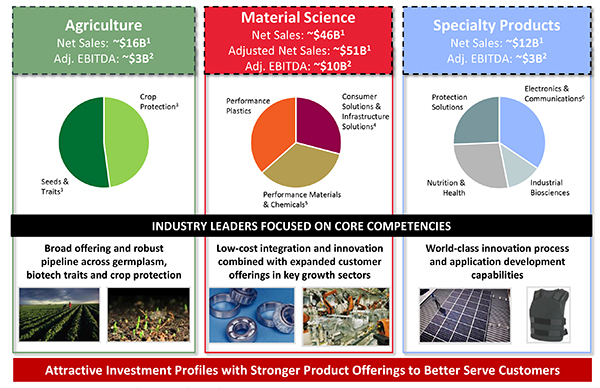 As reported previously, upon completion of the $130 billion deal, the companies plan to form a new entity, DowDuPont, that would later split into three separate independent, publicly traded companies focused on material science, agriculture and specialty products. The Agriculture segment of the three independent, publicly traded companies that will spin off from the new DowDuPont is causing antitrust concerns, as it “take place in industries that are already globally concentrated,” the European Commission said. Earlier in the year both companies had privately shared proposed concessions to EU authorities to address antitrust concerns, sources said, but the EC responded that the concessions were "insufficient to clearly dismiss its serious doubts." "The livelihood of farmers depends on access to seeds and crop protection at competitive prices," Vestager said. "We need to make sure the proposed merger does not lead to higher prices or less innovation for these products." The merger is currently undergoing related reviews in the U.S., Canada and Brazil. In the U.S., the Senate Judiciary Committee will discuss this week how the proposed merger might affect American farmers. The hearing, set to take place today (Sept. 20), will reportedly feature testimony from executives from Dow and DuPont, as well as from Bayer AG and Monsanto Company, two other major players in the agriculture industry that announced a merger plan of their own last week.